Raw logs can be helpful in obtaining answers to many questions that arise in the operation of CDN. In particular, they may be used to identify the cause of a problem with content delivery. 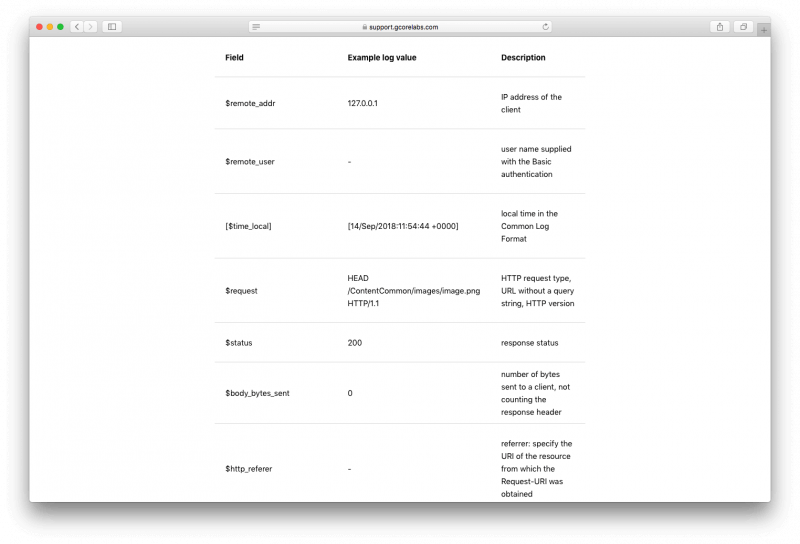 Previously, logs were delivered via TCP using Syslog option, and clients had to use special service and software to receive them. It was uncomfortable. Therefore, we have developed more convenient ways of delivering logs. Where to find the option? 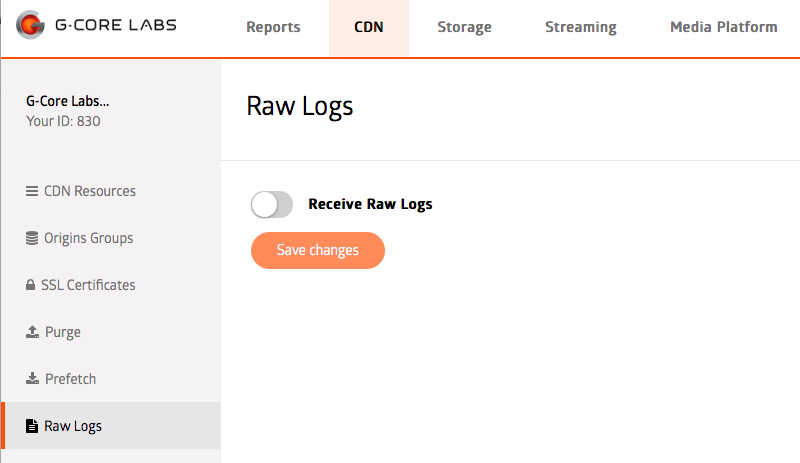 The way you prefer to receive logs is configurable through your control panel — the option can be found in the CDN tab menu. 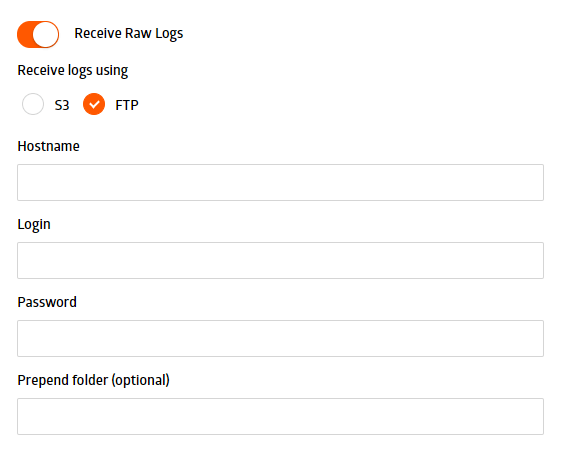 Logs can be uploaded to the client’s storage account via two protocols: S3 and FTP. Appropriate storage for receiving logs is set up and maintained by the clients themselves. How long do we keep logs? We keep logs for the past 14 days. How long logs are kept in the storage? Since the storage is managed by the clients, they decide by themselves which logs are to be stored and for how long; whether to expand the repository in case of running out of space or just delete the old data. 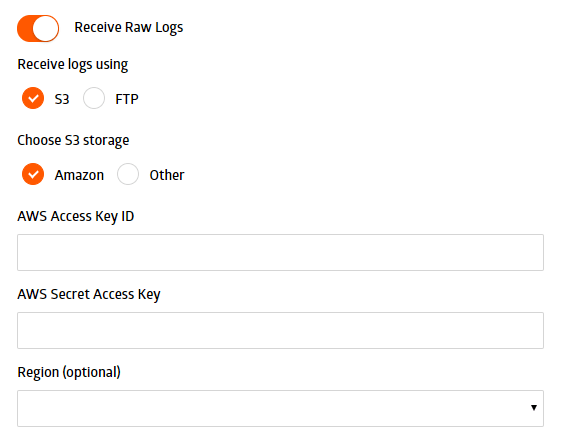 You can receive logs via S3 protocol to an Amazon storage or to any other S3 compliant object repository. You can use any standard FTP server to receive information. How are logs being sent? Logs from multiple resources can be sent to one or different folders. Fail. Logs were not accepted on the client side for 24 hours (all 24 attempts to deliver logs have failed). Paused. The option is on pause. In this mode settings can be changed. They will be removed only after disabling the option. What a log looks like? "89.36.201.215" "-" "-" "[31/Oct/2018:11:30:12 +0000]" "GET /data/cid/storage1/clr/m/dd83f-25ec-4982-8b86-2bd12c2cb/mp4/10/682.m4s HTTP/1.1" "200" "113792" "-" "AppleCoreMedia/1.0.0.16A404 (iPhone; U; CPU OS 12_0_1 like Mac OS X; ru_ru)" "114162" "-" "http" "14.cdn.tv" "0.010" "0.009" "382" "-" "[m9]" "MISS" "113792" "32.122.112.73:80" "2626" "5536" "-" "-" "RO" "Karagandy" "shield_old" "92.223.99.99"
Description of the variables can be found in the Logs section of the knowledge base or in Nginx documentation. How to activate the option? Raw logs option is a paid one. To activate it, please contact your account manager or refer to our tech support chat.